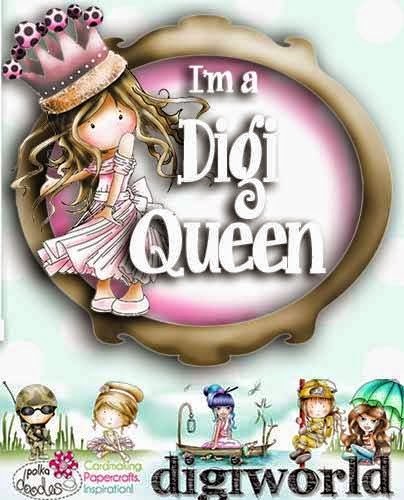 Wk 5 - Digi Queens day! 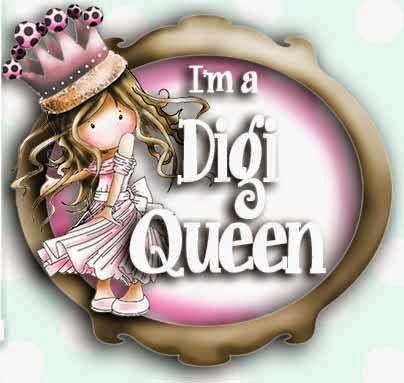 Welcome back to another Digi Queens day! Isn't she priddy?! 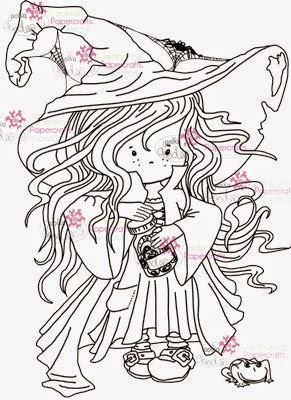 !...Just click on the image to find her. by using code PDBDQ10 at the checkout - but this code is only valid until Sunday at midnight GMT so don't miss it! Go go go! I wanted to give her a bit of a distressed grungey look and get a transparent wispy effect with the dress, but using my Graph'It alcohol markers rather than Distress Inks...I messed the face up a litle (that point where it's one stroke too far) so I had to darken it right up further than I normally would....I used 4125, 4150, 3210 for the face with 4145 for cheeks, then just 6110 and 5115 for the dress with blender. Hair uses 3210, 3230, 3245, 3250 and a little 9403 for extra shadows. The background is 7105 and 7109. I finally added white dots with my Graph'It Shake white pen. 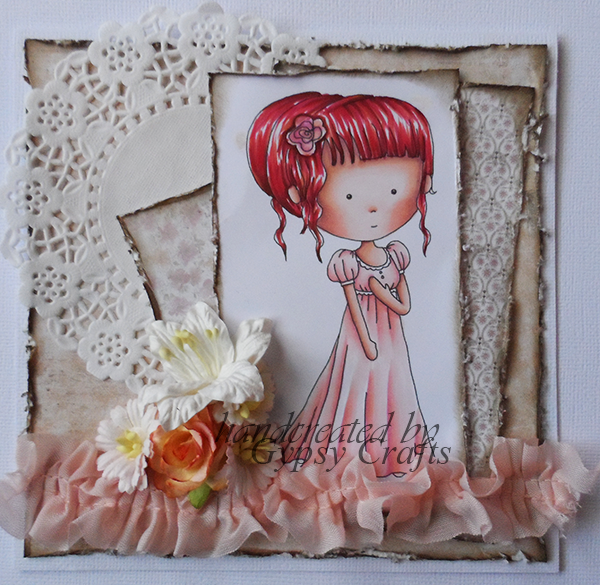 Fi....Morning folks, here's my card for today's inspiration...I have used one of the fabby images from the Girl Talk collection...this is Dollie Sleepyhead...isn't she cool?? I coloured Dollie with copics this time and used for the skin - R00, R20 and R14, for the t-shirt I used - RV10, R81 and RV55, for the trousers I used W0 and E40, for the hair I used - E53 and Y28. The papers are also from the same collection. You can get the full range on CD from the store here! You can see how I made the card on my blog, I used Distress Inks to colour her: Fur & Postbox - Tea Dye, Vintage Photo, Walnut Stain / Bird & Nose - Antique Linen / Cheeks & Paw Pads - Worn Lipstick / Dress, Bow & Postbox Plate - Squeezed Lemonade, Mustard Seeds, Wild Honey / Sky - Tumbled Glass / Roses - Worn Lipstick, Barn Door, Fired Brick / Leaves & Grass - Shabby Shutter, Peeled Paint / Bird - Antique Linen / Flag - Squeezed Lemonade, Wild Honey, Worn Lipstick, Barn Door / Ladybird - Barn Door, Fired Brick, Walnut Stain / Envelope - Antique Linen, Worn Lipstick. Beverly - Hello everyone! Today I made another Christmas card for you. I used this sweet Snowman Image from Nikky. You can find him on 2012 Christmas Collection CD. Gorgeous inspiration as always from the team! Hope you're enjoying the weekly projects - don't forget to use that special code! 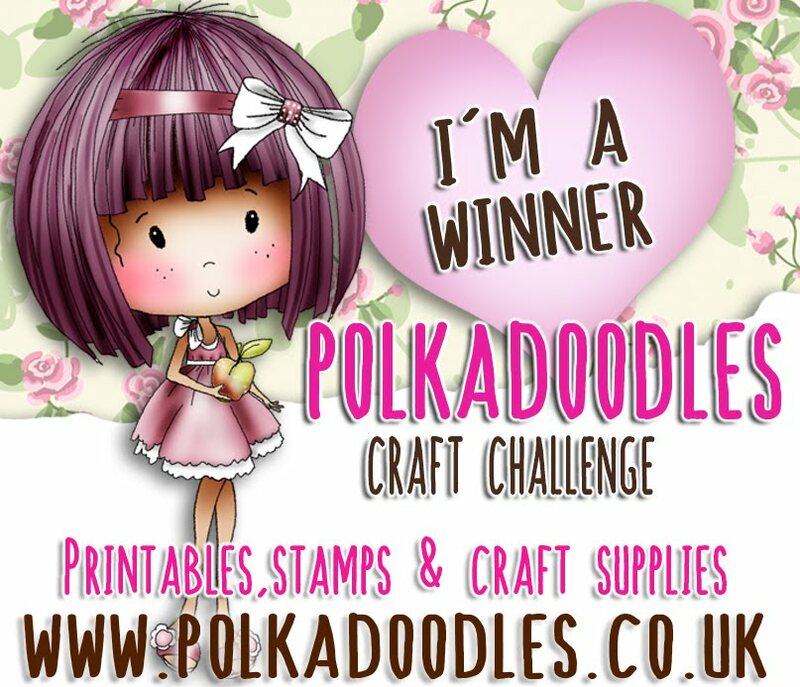 We will see you back here on Friday for another Polkadoodles challenge but in the meantime make sure you pop over and visit the Digi Choosday blog too today - and a chance to win some lovely goodies!! Hello to everyone out there and it's Happy Friday! We are here this week with our wonderful inspiration from the design team. You have until noon GMT Friday, October 3rd to enter. The winner of the Week 36/37- Tag You're It is at the bottom of this post. 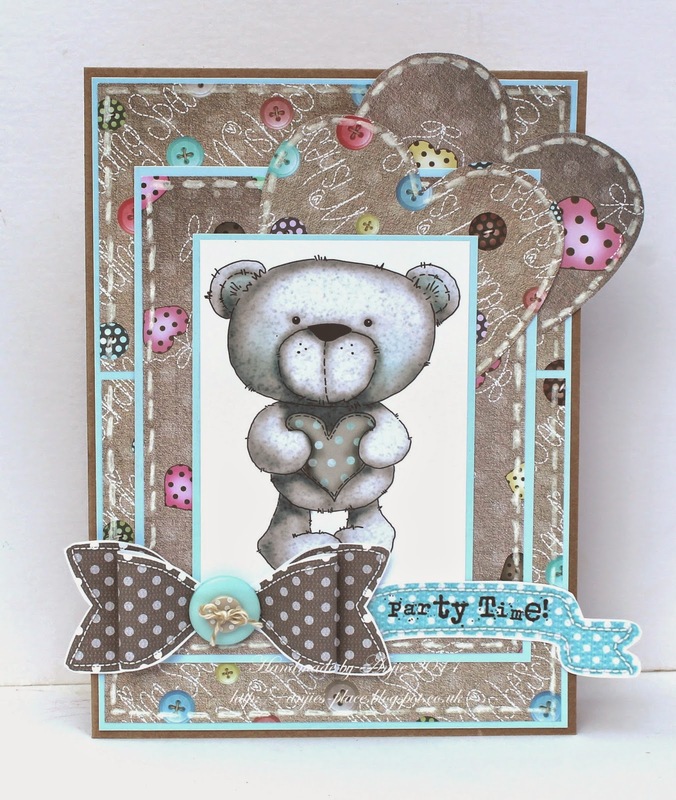 Anjie - Everything on my card is from the adorable Winston CD, isn't he just the most handsome bear you have ever seen!!!! 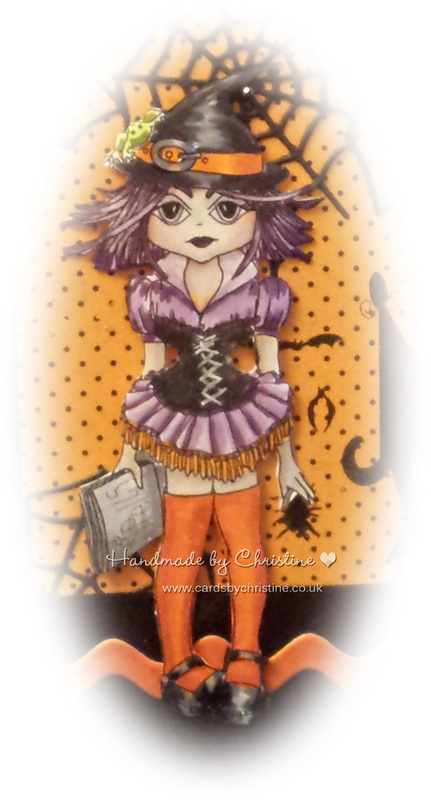 I have added faux stitching around the edge of the papers and hearts as it goes so well with the papers. 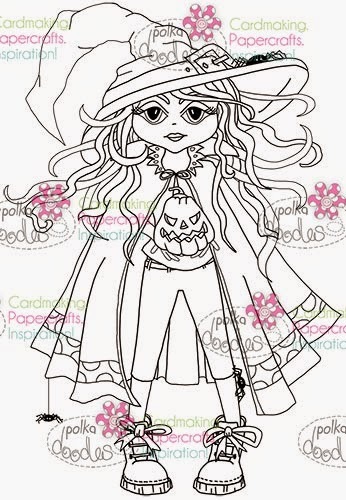 I have used a pre-coloured image this week to show you just how fabulous they are if you can't or don't want to colour. 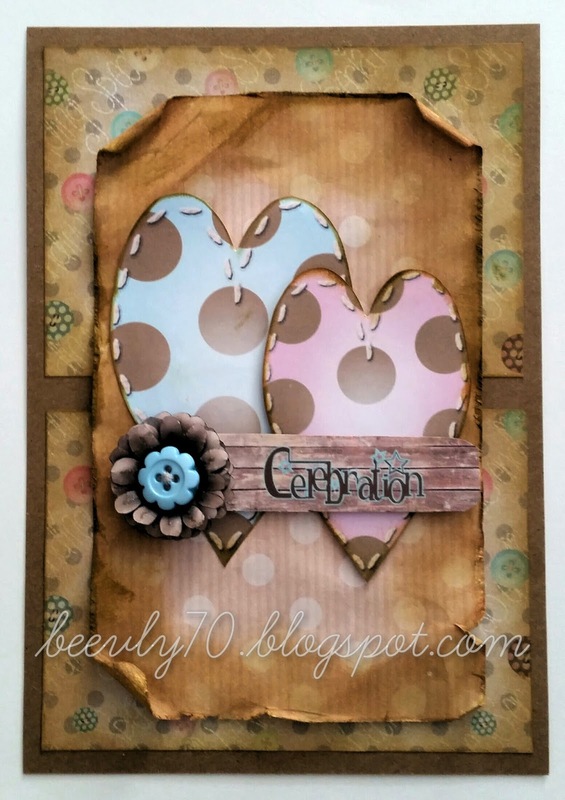 Jenny - Hi again and it's time to share my card for the mid-challenge inspiration. now I don't mind using a sketch and find that when you are struggling they are a good starting point. 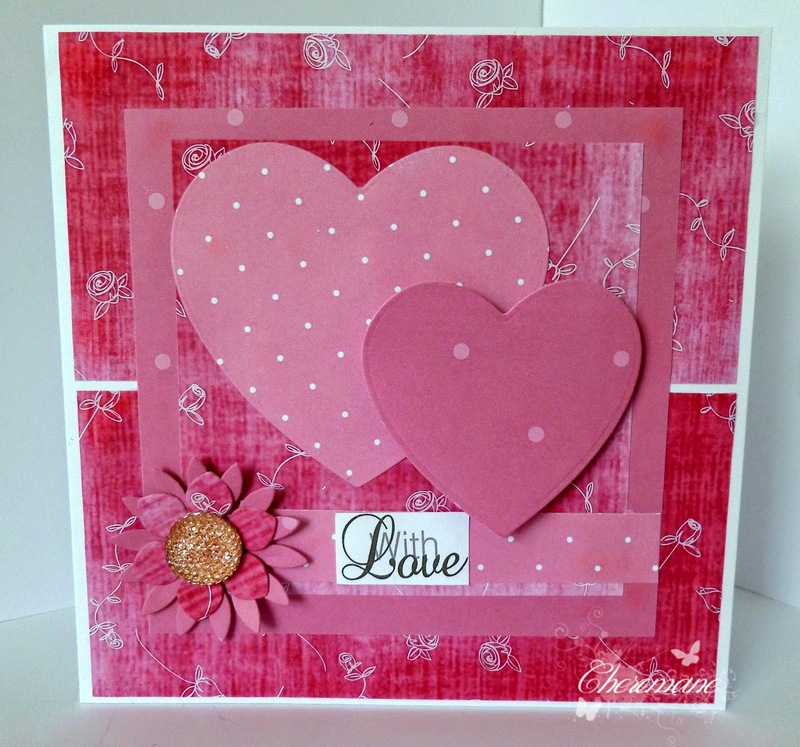 This one is so lovely that I used it as it is and didn't need to change the layout around. I have used papers from the fabulous Winston cd as I already had some printed and I thought they worked well, I have also used one of the Pretty Sweet girls and this is Piper she is available as a single digi or you can get a cd with her and her friends on. I added a few stitch lines around some of the layers and added a flower cut from one of my dies. There are more details on my blog. Bev here with my take on the sketch, as you can see I took it all 'As is' but had a great time ageing and distressing the papers. Winston is my inspiration but as you can see you don't necessarily need to use the characters to produce an end product. I'm seriously addicted to printing off, shaping and building up the flowers from this awesome CD. Susan - Well here we are here with some mid challenge inspiration . 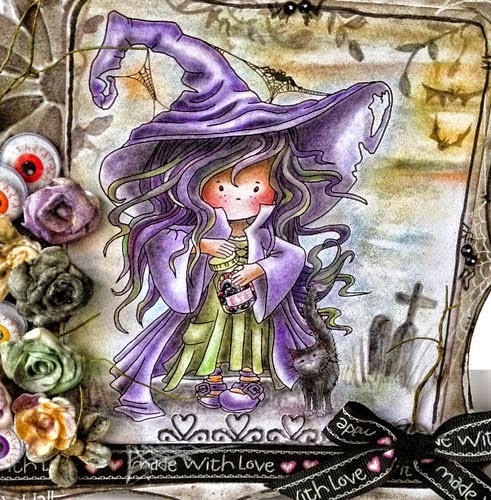 I have used the adorable Etty from the New CD Winston ,also papers and embellishments .I have coloured her with my Graph'it markers then used my Prisma Pencil's to add a bit of extra shading also distressed most of the card with my distress inks. 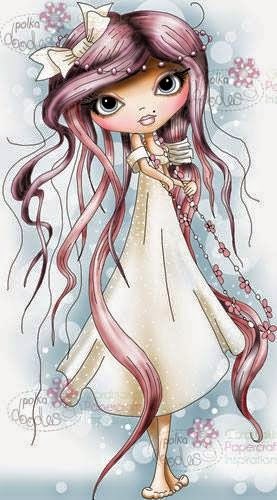 Yvonne - Hi everyone - I am here with some inspiration for the sketch challenge. I opted to use everything Winston which you can get from the new collection, check it out here. 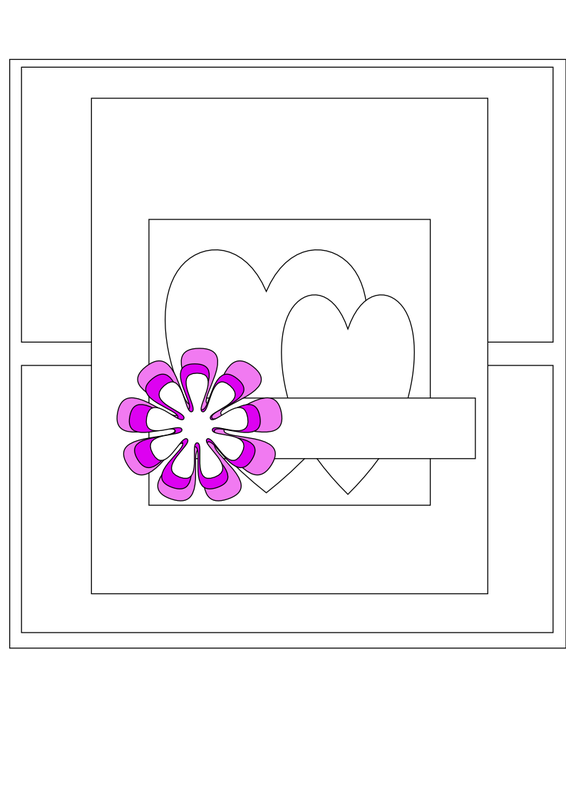 As the sketch is hearts, I opted to use Winston holding a heart, the hearts on the card are from the collection as are the papers, the wee flowers are from the collection too. The sentiment is actually from the Pretty Sweet Collection. 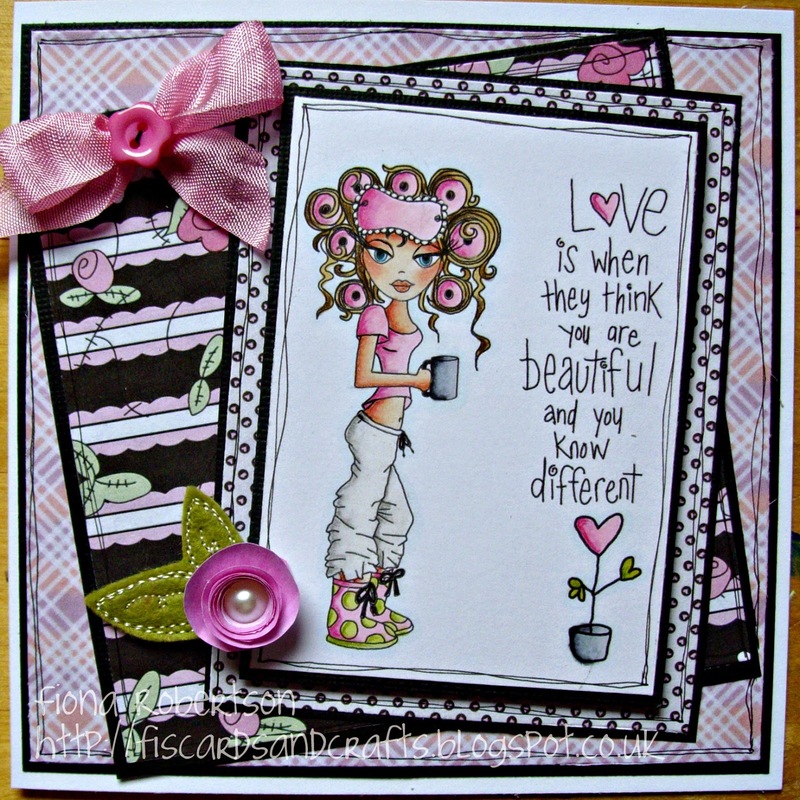 Fabulous and stunning DT creations to inspire you! a digital bundle from the Polkadoodles store. Congratulations to all, thanks for your participation and do not forget to claim your blinkies from the sidebar. Please do not forget, there are a maximum of 2 entries per person. 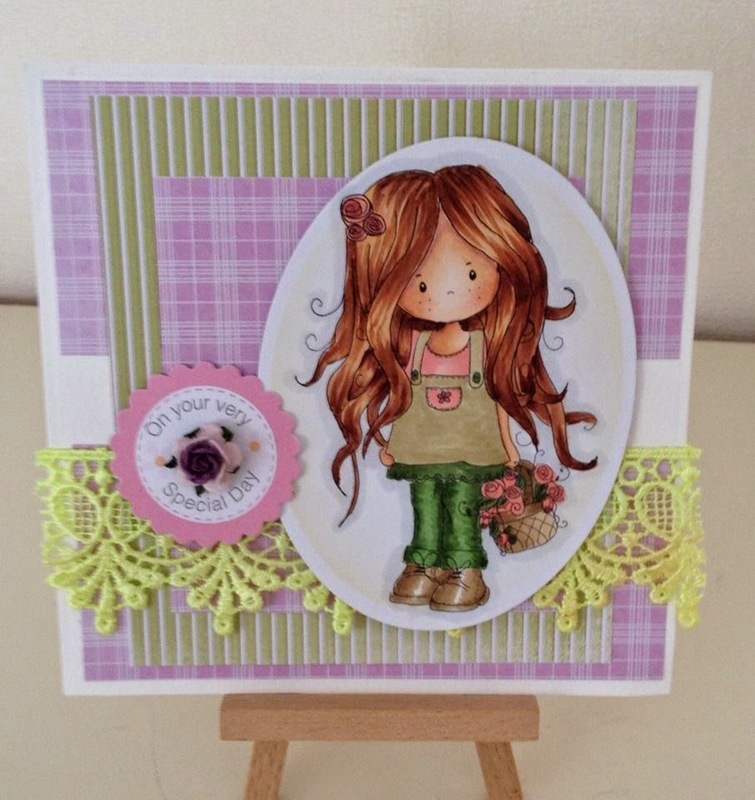 Wk 4 Digiqueens with a Fabulous Freebie! The team are here with another great week of colour inspiration and ideas for you. Our standard Angel Policy applies so you are not permitted to share this image with anyone else or post it anywhere but feel free to send people here to get themselves. 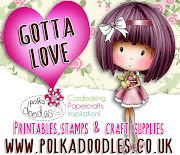 Make sure you check the Polkadoodles download store this week - we have some lovely new digis up for grabs and if you are not yet a member of Polka Doodle Dandies on Facebook you should come over and join us as we have lots going on and freebies and special codes along the way for you. Make sure you also head over to the Digi Choosday challenge today too - the team have some great projects and a fab challenge this week - plus you can win digis!! Let's see what the team have made this week! Nikky...I decided to colour in this lovely new digi which has just been added to the store recently, I just love her swirly cape! I've actually done something really different this week and coloured her with Pan Pastels of all things - such a cool result, I love it and I can see a new obsession about to start I think! 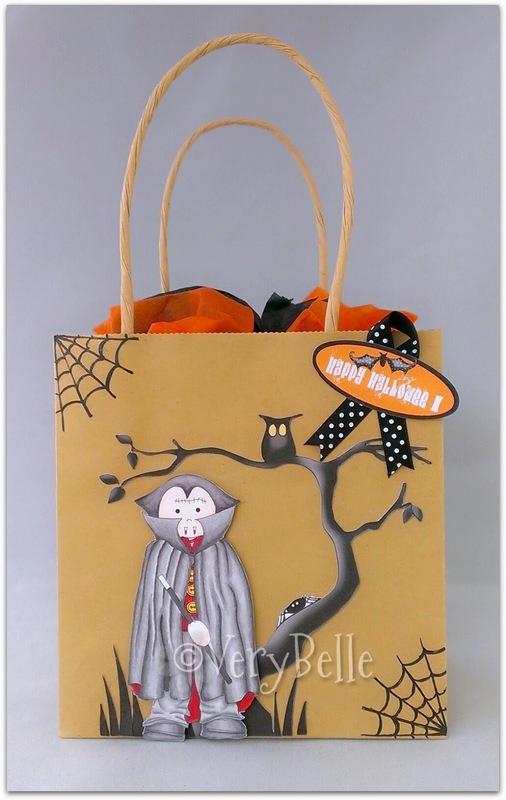 Hi everyone, it's Victoria here with a spooky little gift bag to pop your Hallowe'en treats in!! 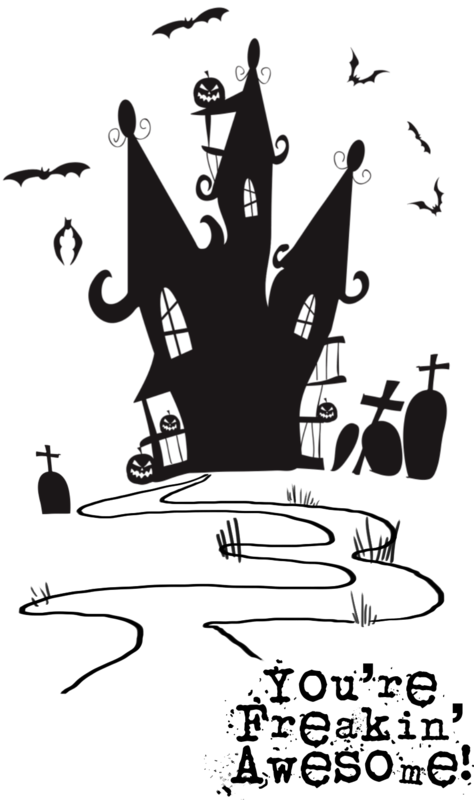 I've used the handsome Dracula, along with a creepy tree and a polka dotty bat - just some of the ghastly elements from the Witchie Witchie bundle available instantly in the Polkadoodles DigiWorld store now! 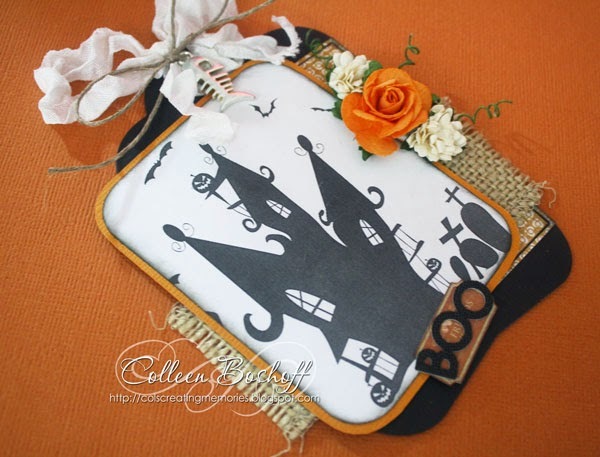 Hi everyone, its Colleen here with a Halloween tag, perfect to add to your treat bags! 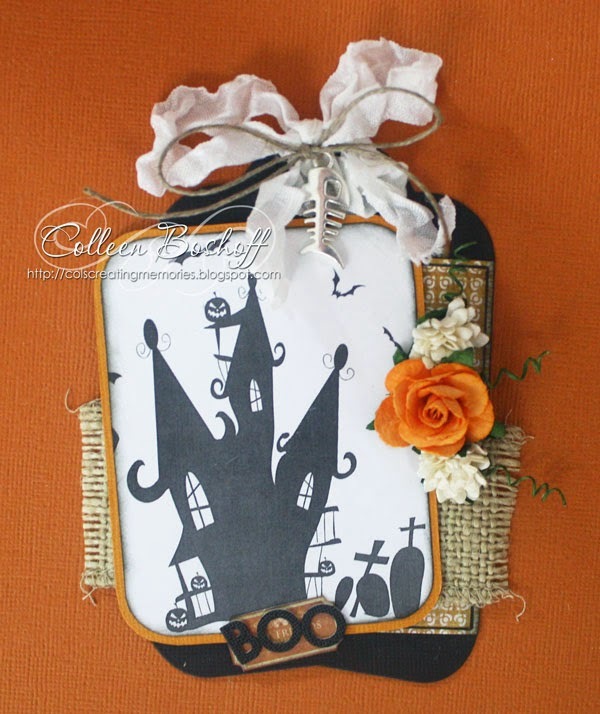 I have used the awesome Spooky House 2, I trimmed it down slightly to fit my tag and stuck to typical Halloween colours of black, orange with a touch of white and finished it off with some burlap and twine. Christine here now.. 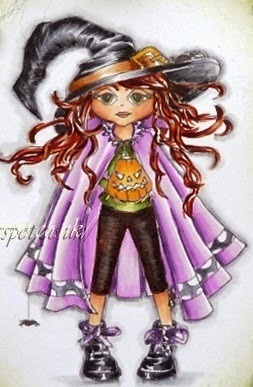 I used the very scary Witchie Goth – coloured with Copics (listed below) – then I gave her skin a greyish tinge.. no self respecting witch would have blush! I added some sparkle and some glossy accents to her too, but they are difficult to see. 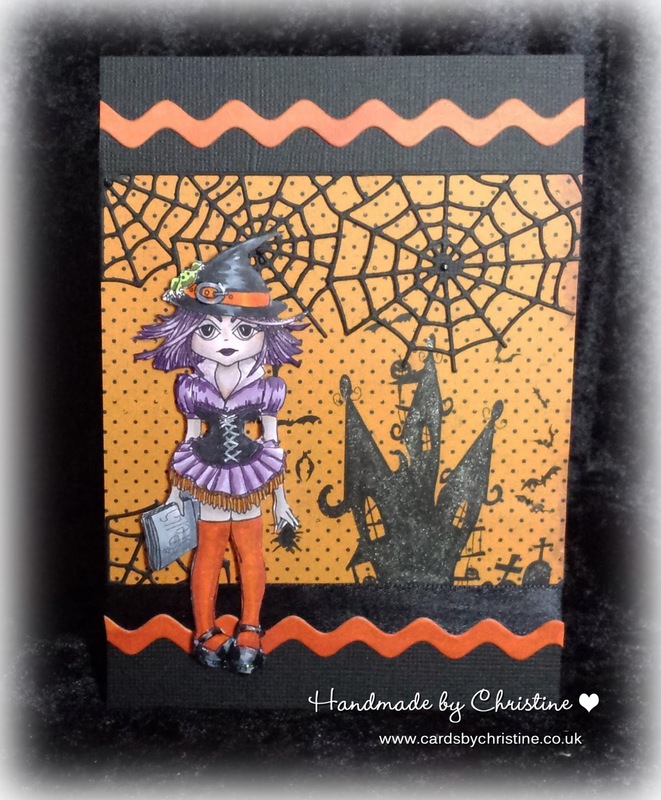 For the background I used a scrap of Halloween paper and printed the SpookyHouse on top, then used a Wink of Sparkle pen to lift the black. The cobweb die is from Memory Box and the ric rac die is PTI. You can find more details on my blog. 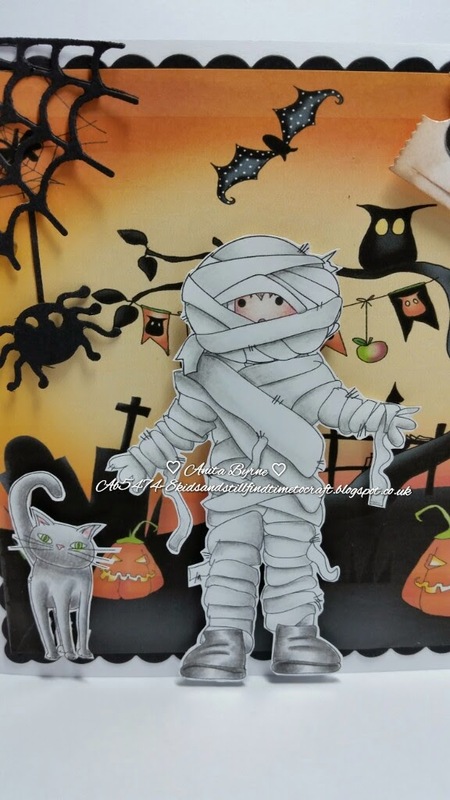 Hi, Pami here with my Halloween make. 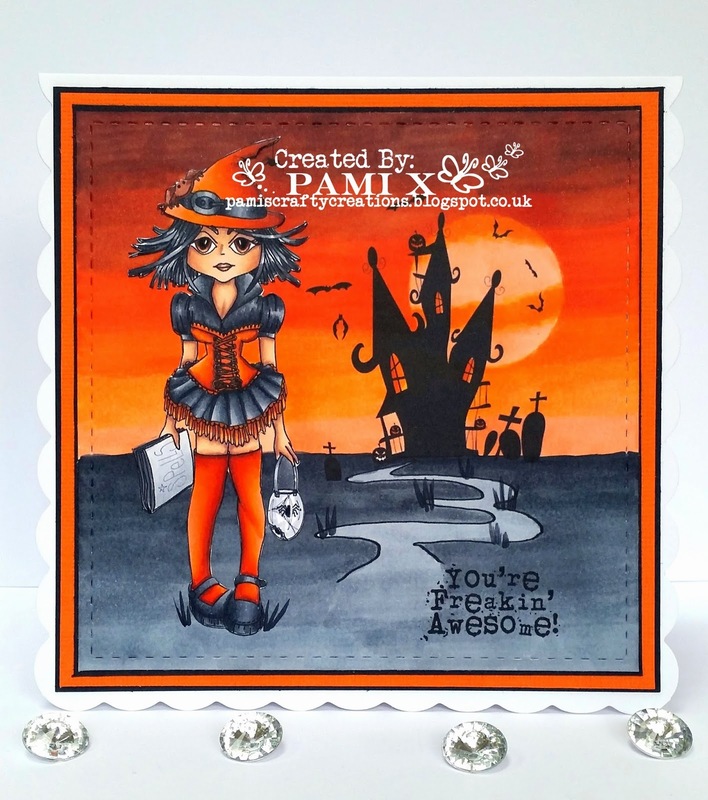 Today I have used this week's freebie image and Witchie Goth. 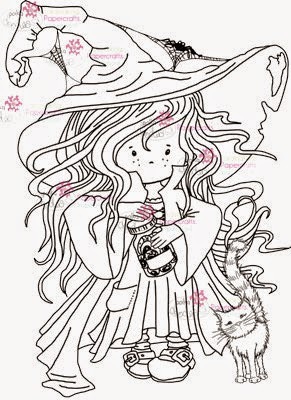 Within Word I layered the two together, I wanted Witchie Goth in the foreground. I then coloured the image with Copics. I played about a bit with the sky and in the end decided to go with orange to go with the orange and black theme. For the background I laid down my darkest colour first and blended through to the lightest. I then went back over again a couple of times to soften the harsh lines. I have coloured her with copic pens. numbers as given: Skin E00, E11, E13, R20 ; Hat, shoes and trousers... C1, C3, C5, C7, C9; Cape V000, V01, V04, V05 and V09; rest of card described on my blog. There's some gorgeous makes here this week! 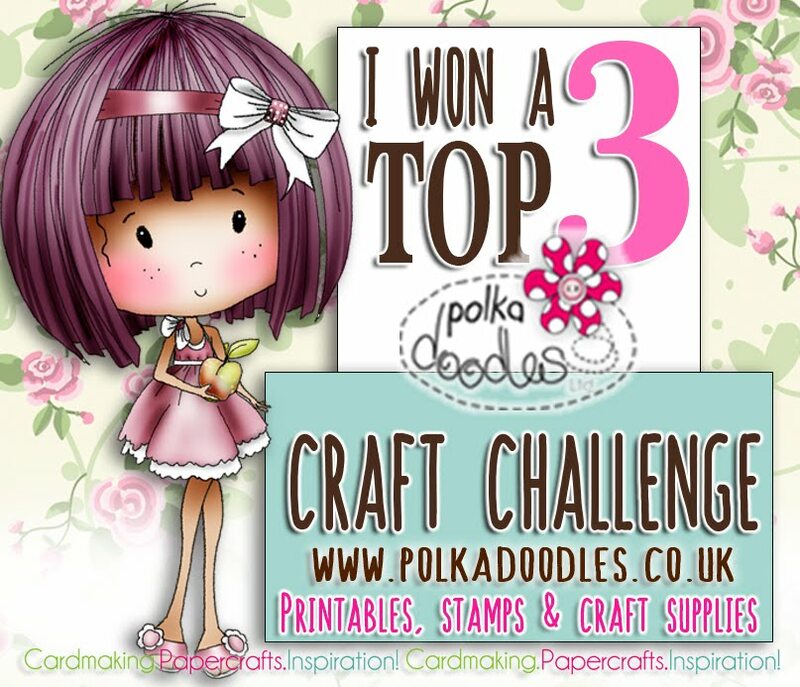 We'll be back on Friday with another Polkadoodles challenge so see you then and hope you have a great week of crafting! Hey everyone, guess what? It's Friday!! 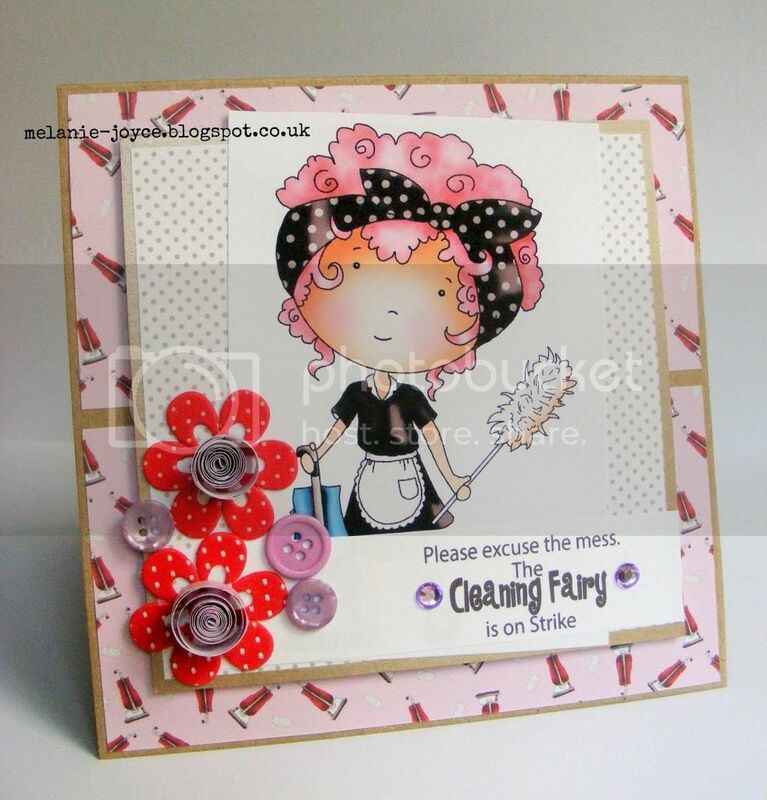 Hope you have all had a fabulous crafting week. 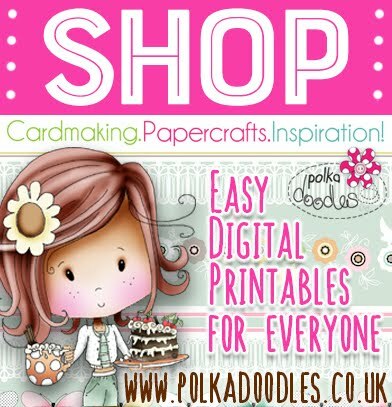 Did you know that Polkadoodles is not just all about CD's and digital products? There are so many different items available in the Polkadoodles Shop. 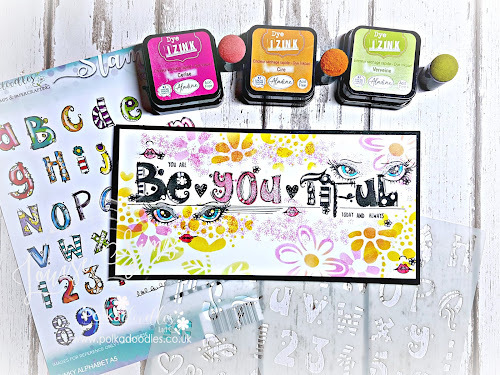 Everything from clear and rubber stamps, lots of new Christmas stamps too if you are ready to get organised, papers, embellishments, you name it......Individual Digital stamps and collections for immediate download! Why not grab a tea/coffee and go take a browse! There really are some super yummy products in the store! in the shop until Tuesday! WOW!!! Go grab some bargains! We have a new challenge for you for this fortnight......it's a sketch. You can interpret this how you wish and the hearts can be any shape you like. 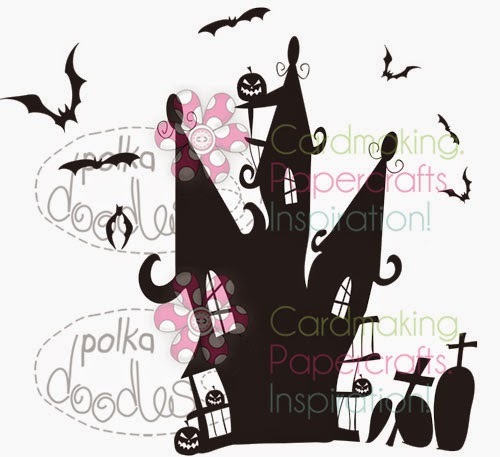 You do not have to use Polkadoodles products on your creations to enter our challenges. You have until noon GMT, Friday 3 October to enter. of their choice from the store. 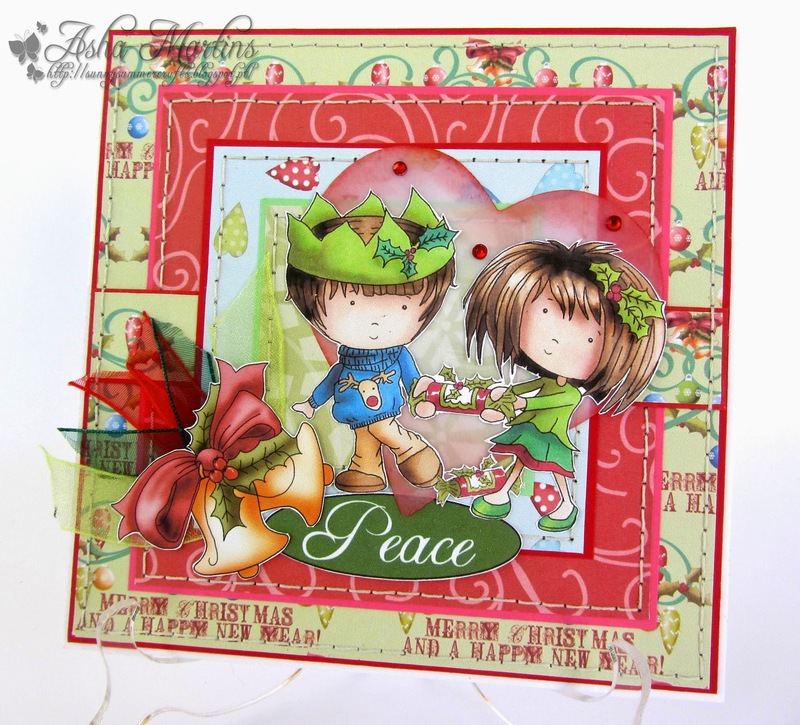 Scatty Jan - What a lovely sketch this time - I used the fantastic Work and Play Festive Hollybobs collection. 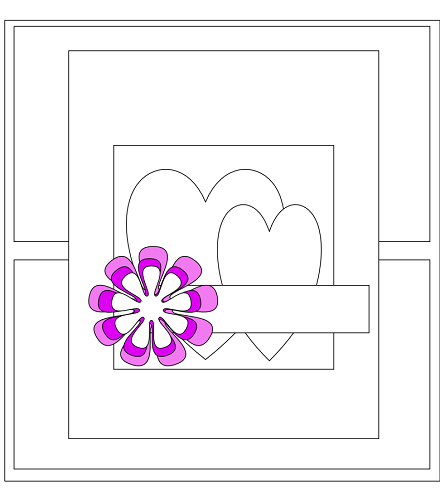 The flower and holly have been layered to give some depth. Karon - I am not really one for sketches, as I am not very good. However, I love this sketch and it was so easy to use. I replaced the two hearts with the two main characters from the new Winston Deluxe Papercrafting CD. All the papers and embellishments are from this wonderful CD. The sentiment is from the Cherryblossom Lane CD. I distressed all the edges and inked them up. Cheremane - I have used the papers from Pretty Sweet Cd I adore the girls on this disk and the papers really are stunning. I decided this time to let the papers speak for themselves on my inspiration as you really can't beat having the perfect papers at your finger tips ready to print when you need them and not only that you can print as many as you want. 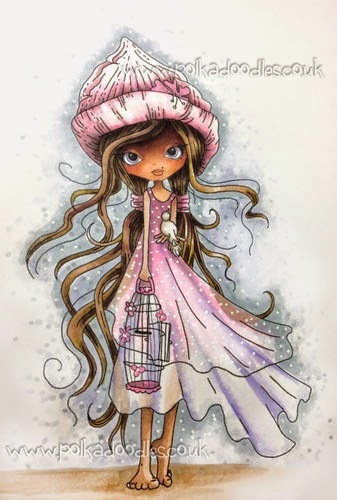 Melanie - I love using sketches - it's great how you're freed up to think about colours, images and embellishments without worrying about placement - the results are always fabulous! I used the Work & Play 6 CD again for this one. 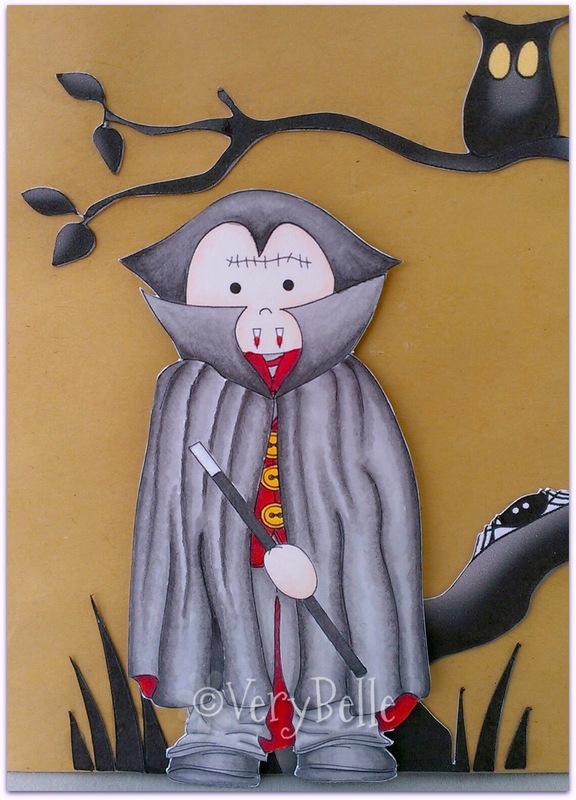 The cleaning lady is such a fab image and I love that vacuum-patterned paper! 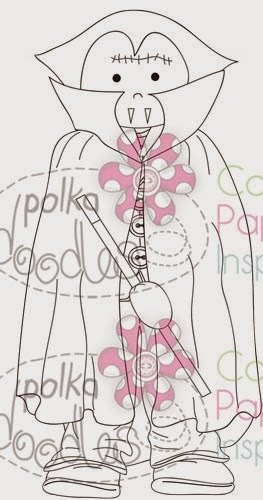 I made the coiled flowers by tightly curling a strip of patterned paper using a quilling tool. Some bright felt flowers added an extra splash of colour while some lilac gems and buttons finished the effect. Asha - Yes.... I made a Christmas card. It's hard to say no to the Festive Hollybobs CD. 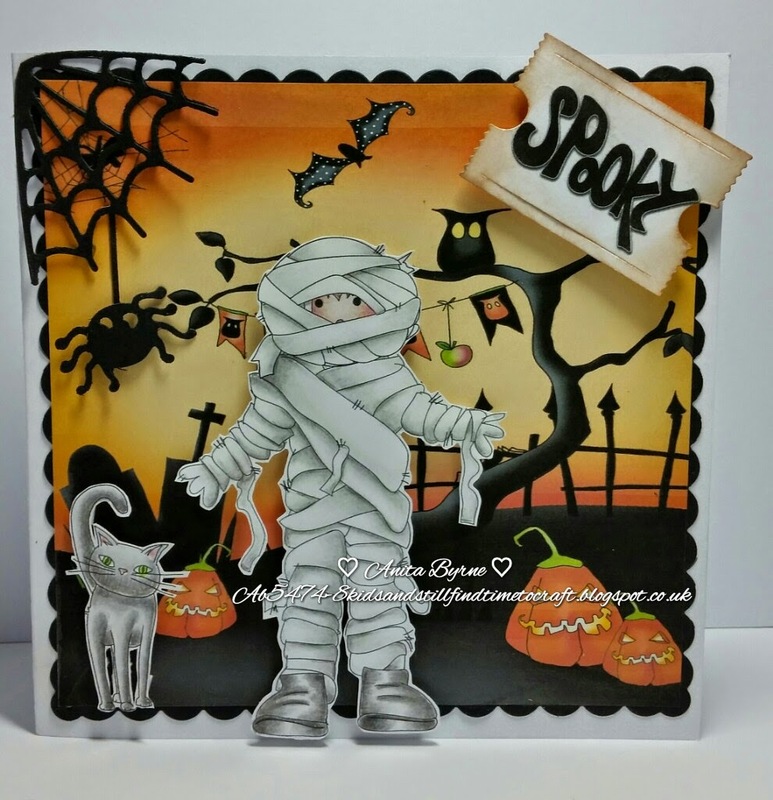 Lots of layering made easy with scrumptious papers from the CD. 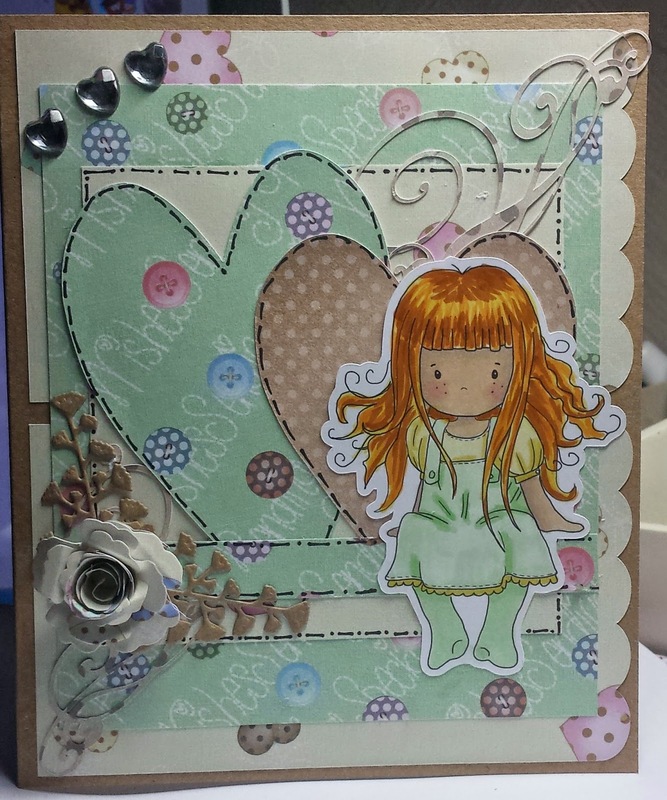 Not to mention tons of embellishments, digis and sentiments to choose from. Extras from my stash: bits of ribbon and 3 red bling ... that's all it needs! 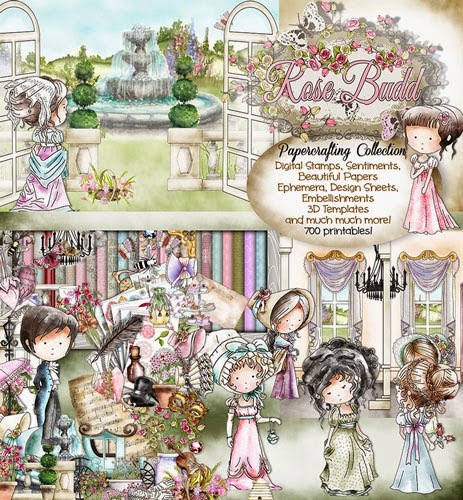 Anna - Recently I am delighted with the new Winston collection from Winston Deluxe Papercrafting CD . 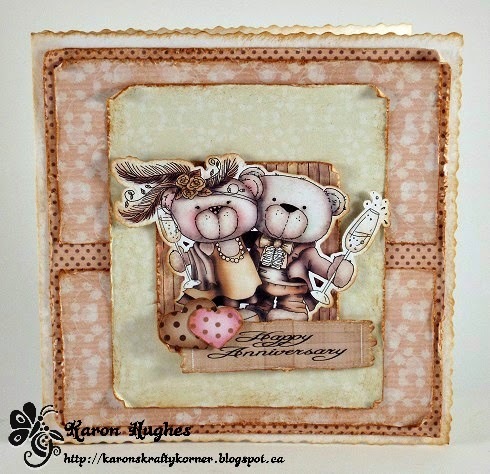 However, even though this time I used papers from this collection for die cut elements, I decided to do something different - not with bears or other cute pictures but a card for a wedding. Besides, the hearts in the maps inspired me to to something wedding themed. Additional elements, which give this card a pretty touch are my favorite tulle, flowers, crystals and beads on a string. 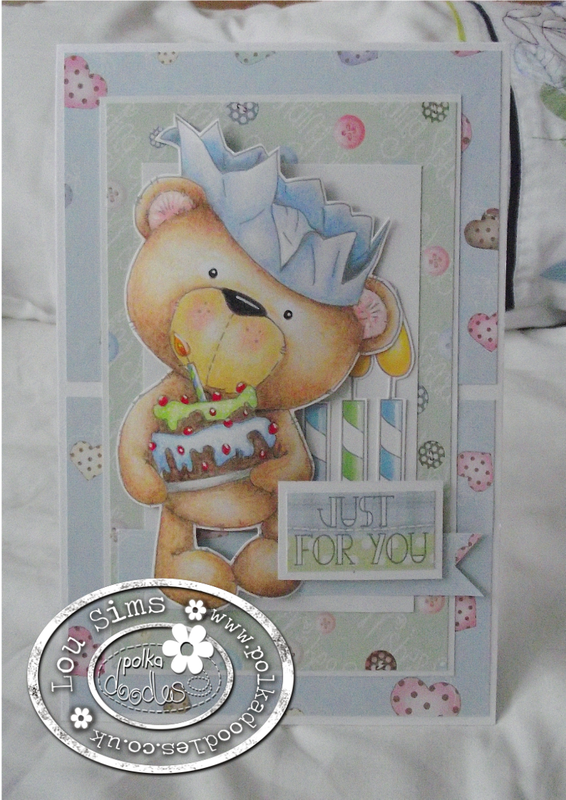 Lou: I have used Winston (from the Winston Deluxe Papercrafting CD) to create my birthday card. All elements for my card are from the CD. I have coloured Winston with my PrismaColour pencils. 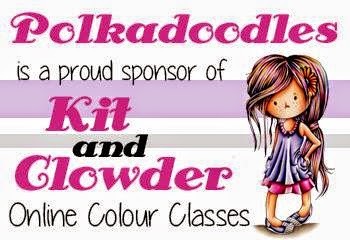 Susan: I have used Amelia 15 from the Polka Doodles CD, Pretty Sweet. I have coloured her with my Copic pens. Background papers and sentiment are also from the same cd. Fabulous creations from my teamies, don't you agree?! by following the above sketch - we can't wait to see how you interpret it. Don't forget there is a limit of two entries per person. Wk 3 - Digi Queens Day!